Top Rated Local® is pleased to announce that Helping Hands Cleaning Services is a 2019 award winner for house cleaning companies in North Carolina! Come home to a clean, spotless house by working with the experts at Helping Hands Cleaning Services in Gastonia. Helping Hands Cleaning Services has received dozens of reviews on three verified sites with an average rating of 4.92 stars, earning them a stupendous Rating Score™ of 95.17 and a 2019 Top Rated Local award for ranking among the top 10 house cleaning companies in all of North Carolina! “These ladies are amazing! They have been cleaning my home for over a year now, and [I’ve] never any issues! [They are] so professional and trustworthy. [I] highly recommend them for all your cleaning needs!” – Debbie B. In order to learn a little more about this award-winning business and its stellar online reputation, we took a few minutes to talk with the owner. The first question we had for her was what sets Helping Hands Cleaning Services apart from their competition in North Carolina. The owner told us that they specialize in residential community. The team at Helping Hands focuses on doing one thing, and on doing it well. She went on to tell us that she’s very involved in the business, and she’s owned Helping Hands Cleaning Services for 20 of the 30 years they’ve been in business. The owner of Helping Hands Cleaning Services attributes their strong online reputation to their commitment to doing the job right. Not only has this commitment to getting the job done right led to online reviews, but it has also led to repeat customers and word of mouth. This strategy has worked so well for Helping Hands Cleaning Services that they’ve experienced sustainable growth with very little advertising. There are so many business owners looking to build their online reputation. When asked what advice she has for them, the owner of Helping Hands Cleaning Services emphasized the importance of taking care of every customer and never promising more than what you can deliver. Congratulations to the team at Helping Hands Cleaning Services for being a 2019 Top Rated Local award winner! We highly recommend Helping Hands Cleaning Services in Gastonia. Visit their website today! 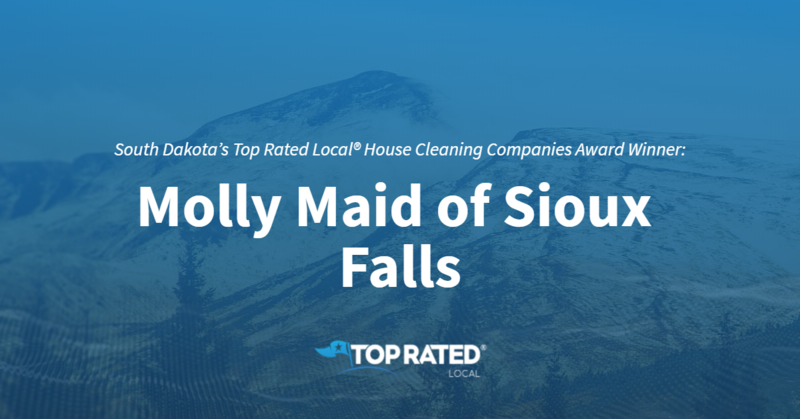 Top Rated Local® is pleased to announce that Molly Maid of Sioux Falls is the number one house cleaning company in South Dakota for 2019! Keep your home clean and comfortable by relying on the talented team at Molly Maid of Sioux Falls. Molly Maid of Sioux Falls has received more than 100 reviews on three verified sites with an average rating of 4.77 stars, earning them a tremendous Rating Score™ of 93.72 and a 2019 Top Rated Local award for being ranked the number one house cleaning company in all of South Dakota! “We recently used Molly Maid services when we moved out of a rental home, and Marta & Emma were the ladies who came to clean the home. Let me tell you, they did a spectacular job!!! The home was move-out/move-in ready as promised and in under the estimated time, which included above and beyond services. They were life savers and were kind, professional and extremely good at their jobs! We highly recommend them and will be coming back to Molly Maids for our next cleaning needs!! !” – Lisa S.
We wanted to learn a little more about Molly Maid of Sioux Falls and how they managed to build such an impressive online reputation, so we took a few minutes to talk with the owner, Patty Washnok. The first question we had for Patty was what is it that sets Molly Maid of Sioux Falls apart from their competition in South Dakota. Patty told us that they’ve been around for a long time and that they always focus on doing the job right. We also wanted to know how Molly Maid of Sioux Falls works to make the world a better place. Patty shared with us that they sponsor The Molly Maid Foundation and domestic abuse centers. Patty attributes Molly Maid of Sioux Falls’ strong online reputation to their commitment to asking their customers for reviews. Outside of building a powerful online reputation, Molly Maid of Sioux Falls has gotten their name out there through signage on their vehicles, direct mailers and word of mouth. Congratulations to the team at Molly Maid of Sioux Falls for being a 2019 Top Rated Local award winner, and thank you so much, Patty, for taking the time to speak with us! We highly recommend Molly Maid of Sioux Falls. Visit their website today! 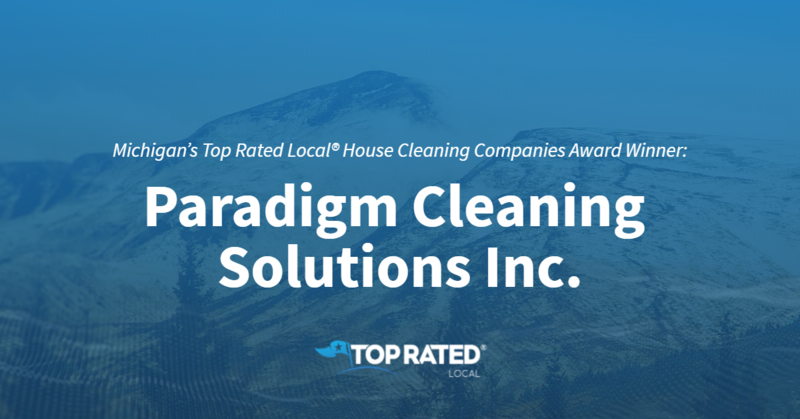 Michigan’s Top Rated Local® House Cleaning Companies Award Winner: Paradigm Cleaning Solutions Inc.
Top Rated Local® is pleased to announce that Paradigm Cleaning Solutions Inc. is a 2019 award winner for house cleaning companies in Michigan! 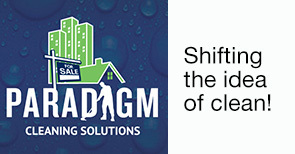 For professional house cleaning solutions, turn to Paradigm Cleaning Solutions Inc.
Paradigm Cleaning Solutions has received dozens of reviews on four verified sites with an average rating of 4.88 stars, earning them a spectacular Rating Score™ of 96.80 and a 2019 Top Rated Local award for ranking among the top 10 house cleaning companies in all of Michigan! “Vic and his crew are professional and friendly. Vic helped me understand the process and the solutions they use. He is very knowledgeable and trustworthy. He worked around my schedule and respected my home using shoe covers and towels. My floors turned out amazing, and I couldn’t be happier. I highly recommend him and his company for any cleaning needs. Even if you have questions, he’s happy to answer them with no hesitation.” – Vasile C.
Victor Sarpolus, the owner of Paradigm Cleaning Solutions, generously gave us a few minutes of his time to tell us about his award-winning business and its impressive online reputation. The first question we had for Victor was what sets Paradigm Cleaning Solutions apart from their competition in Michigan. Victor told us that they are a multi-service cleaning company that provides professional services for all house cleaning needs. They offer multiple services and have knowledge in all aspects. When clients choose to work with Paradigm Cleaning Solutions, they can trust one company to clean their full house and reach every need. They are willing to learn and grow from the clients’ feedback. Outside of building a powerful online reputation, Paradigm Cleaning Services has spread the word about who they are and what they do through networking and building relationships with like-minded groups and other businesses, as well as word of mouth and being givers instead of takers. Congratulations to the team at Paradigm Cleaning Solutions Inc. for being a 2019 Top Rated Local award winner, and thank you so much, Victor, for taking the time to speak with us! We highly recommend Paradigm Cleaning Solutions Inc. in Michigan. Visit their website today! Top Rated Local® is pleased to announce that Peppermint Cleaning Services is an award winner for house cleaning companies in 2019. If you are looking for a house cleaning company that will get your home to sparkle and shine, look no further than Peppermint Cleaning Services! 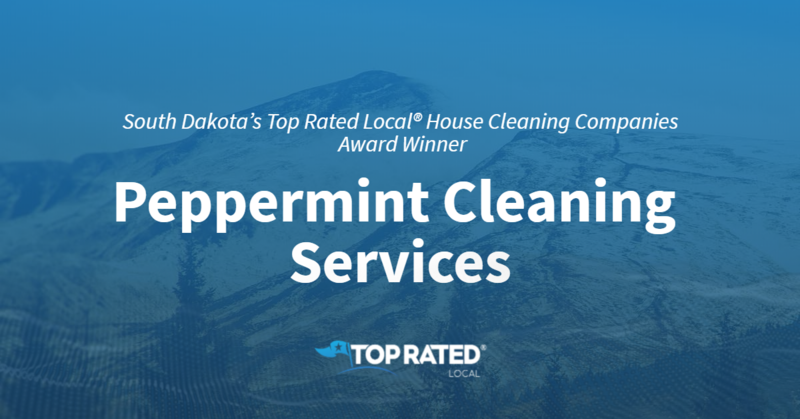 Peppermint Cleaning Services has received many overwhelmingly positive reviews across multiple verified sites with an average rating of 4.84 stars, earning them an impressive Rating Score™ of 90.42 and a 2019 Top Rated Local award for ranking as one of the top three house cleaning companies in South Dakota! It is because of excellent reviews like this that Peppermint Cleaning Services is now able to call themselves a Top Rated Local award winner! We were excited to learn all about how Peppermint Cleaning Services has been able to build such an impressive reputation, so we sat down with the owner, Laura. The first thing we wanted to know was what it is that makes Peppermint Cleaning Services stand apart from their local competitors. Laura believes that her team has a lot to do with their competitive advantage. She says that the crew at Peppermint Cleaning Services genuinely loves to bring joy to people. She says that they try to select staff who love cleaning. It’s important that they keep up a high morale among staff. We began to talk about how this tied into their business’ mission. Laura told us that they like to help people who may not be able to help themselves. It is their goal to help everyone to have a great day. Peppermint Cleaning Services has been in operation for just over six years, three in South Dakota. In those years, they have managed to build a truly impressive reputation, so we were excited to chat a bit about how they have marketed themselves in that time. While some of their marketing has been done online, they have found true value in attending local networking groups and getting in touch with other local business owners. 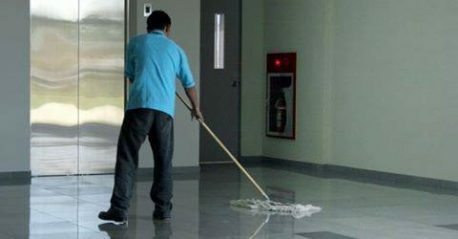 There are many businesses out there that are looking to build as impressive a reputation as Peppermint Cleaning Services has managed to. We asked if Laura could share any expert advice with these companies. She stressed the value of joining networking groups and in word-of-mouth referrals. Congratulations to Peppermint Cleaning Services for being a 2019 Top Rated Local award winner, and special thanks to Laura for taking the time to speak with us! 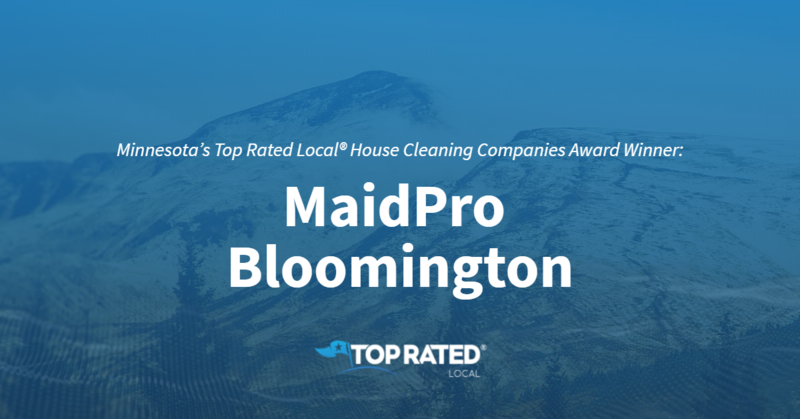 Top Rated Local® is pleased to announce that MaidPro Bloomington is a 2019 award winner for house cleaning companies in Minnesota! When you need a house cleaning service you can rely on, you need MaidPro Bloomington, which serves Bloomington, Edina and Eden Prairie. MaidPro Bloomington has received dozens of reviews on four verified sites with an average rating of 4.85 stars, earning them a stellar Rating Score™ of 97.51 and a 2019 Top Rated Local award for ranking among the top 10 house cleaning companies in Minnesota! “They provided awesome service for my property and had it sparkling clean for my new tenants before their move in. [They] even collected some mail that arrived after I had left and forwarded it to me to ensure it landed in the right hands. [They were] extremely efficient, affordable and responsive… I’ll trust them again and again with my property!” – Melanie S.
Travis Goldfein, the owner of MaidPro Bloomington, generously gave us a few minutes of his time to tell us about his award-winning business and its fantastic online reputation. Congratulations to the team at MaidPro Bloomington for being a 2019 Top Rated Local award winner, and thank you so much, Travis, for taking the time to speak with us! We highly recommend MaidPro Bloomington. Visit their website today! 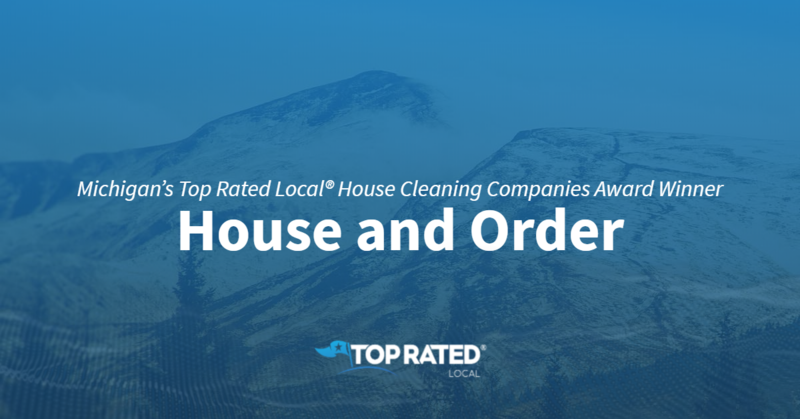 Top Rated Local® is pleased to announce that House and Order is a 2019 award winner! “I couldn’t be more satisfied with this company. I truly felt I was a priority to them. They first started by finding out my needs and what was most important to me. Their customer service is outstanding. I do pay a little more than the other company I was using before but feel every penny is well worth it and am so happy I switched!! It’s not easy letting a stranger into your home, but Amanda’s pleasant demeanor instantly put me at ease. Her attention to detail is remarkable, and I appreciate her and all the hard work this company does.” -Darrin N.
We got a chance to speak with Jason Purkey, the owner and President of House and Order, about his business’ outstanding online reputation. 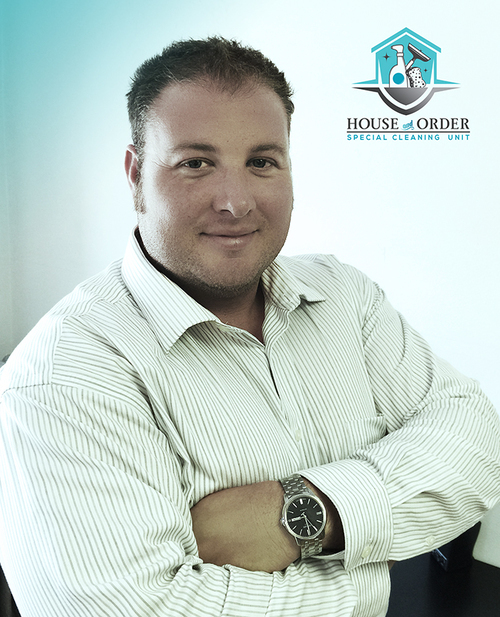 Congratulations to the team at House and Order for being a 2019 Top Rated Local award winner, and thank you so much, Jason, for taking the time to speak with us! Top Rated Local® is pleased to announce that MAID In HIS Likeness, LLC is a 2019 award winner for house cleaning companies in South Carolina! Relax, breathe easy and come home to a clean, spotless house by relying on the experts at MAID In HIS Likeness in Florence. MAID In His Likeness has received dozens of reviews on three verified sites with an average rating of 4.91 stars, earning them a spectacular Rating Score™ of 96.06 and a 2019 Top Rated Local award for ranking among the top 10 house cleaning companies in all of South Carolina! “Both the owner and the staff at MAID in HIS Likeness were very professional. My home and other property were cleaned with a thoroughness that I was more than pleased with. I could immediately tell MAID In HIS Likeness takes great pride in the quality of work and service they provide their clients. I’m always very pleased with how my home both looks and smells when they’re finished. I’m certain I will continue to be a long-term, SATISFIED CLIENT.” – Marilyn F.
Markeyshi K’Patrick, the owner of MAID In HIS Likeness, generously gave us a few minutes of her time to tell us about her award-winning business and its impressive online reputation. Markeyshi credits MAID In His Likeness’ strong online reputation to her commitment to being present. While many owners hand over the operations of the business to someone else, Markeyshi is present every day and handles everything. Congratulations to the team at MAID In HIS Likeness, LLC for being a 2019 Top Rated Local award winner, and thank you so much, Markeyshi, for taking the time to speak with us! 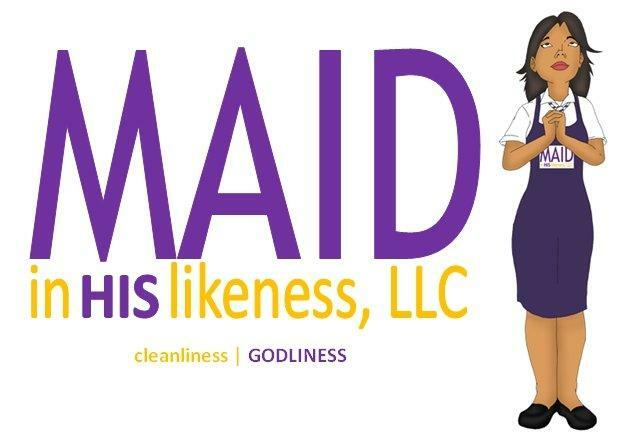 We highly recommend MAID In HIS Likeness, LLC in Florence. Visit their website today! Top Rated Local® is pleased to announce that Columbus Service Group is a 2019 two-time award winner for cleaning companies in Mississippi! Are you in need of a deep cleaning but don’t have the time or resources to do so yourself? We suggest you visit our friends at Columbus Service Group in Starkville, Mississippi, for your residential or commercial needs! Columbus Service Group has received dozens of reviews on four verified sites with an average rating of 4.80 stars, earning them an incredible Rating Score™ of 91.00 and a 2019 Top Rated Local award — one for ranking in the top 100 businesses in Mississippi and one for ranking among the top 10 house cleaning companies in all of Mississippi! “They cleaned my house for the first time today! Oh. My. Gosh. I can’t say enough good things about them! My husband and I both work long hours and have a two-year-old, so cleaning kind of gets put on the back burner. They will definitely be my new favorite people! [I would] definitely recommend! They left no corner unturned! -Carina R.
We wanted to learn a little more about this award-winning business and its impressive online reputation, so we took a few minutes to talk with Jill Lehrkamp, the owner at Columbus Service Group. Outside of building a powerful online reputation, Columbus Service Group has gotten their name out there through a strong push on word of mouth as well as by utilizing Facebook. 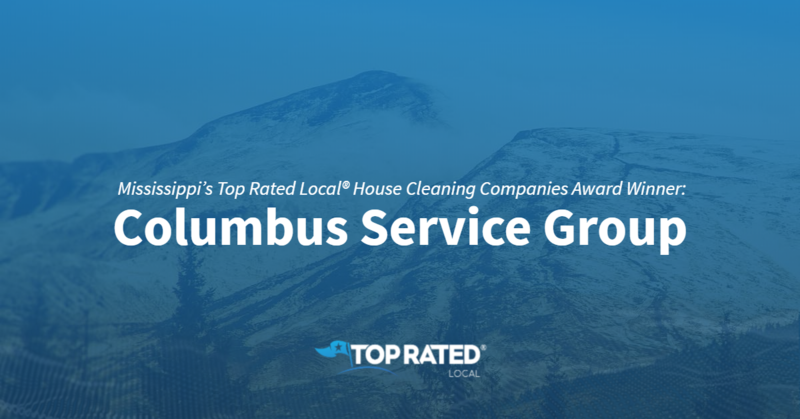 Congratulations to the team at Columbus Service Group for being a 2019 Top Rated Local award winner, and thank you so much, Jill, for taking the time to speak with us! Visit their website here! Top Rated Local® is pleased to announce that Schemmer’s Cleaning Services is the number one house cleaning company in Minnesota for 2019! “My husband and I had Schemmer’s out to clean our living room carpet and a rug today. The guys were on time, courteous, and they did a fabulous job!! They got our stains out, too!! I would highly recommend them, and we will be using them in the future! Thanks again!” -Shelley G.
That’s just one of the dozens of outstanding reviews Schemmer’s Cleaning Services has received on verified review sites, giving them a 96.96 Rating Score™, a 4.90 average star rating, and a 2019 Top Rated Local award! Sam Schemmer, the Manager of Operations at Schemmer’s Cleaning Service, took some time to speak with us about the business’ excellent online reputation. 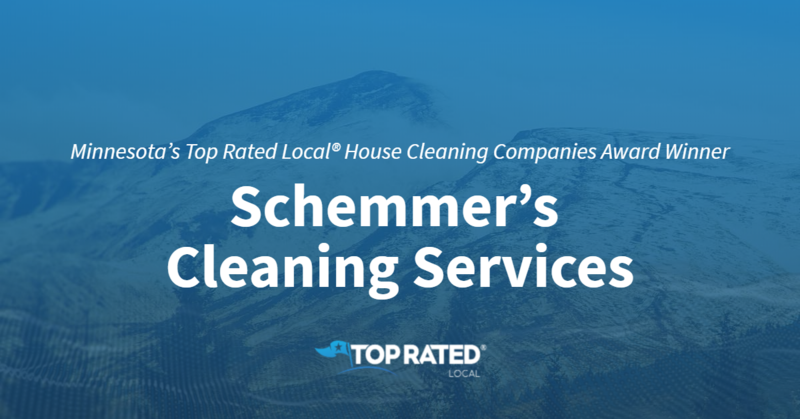 Congratulations to the team at Schemmer’s Cleaning Services for being a 2019 Top Rated Local award winner, and thank you so much, Sam, for taking the time to speak with us! Top Rated Local® is pleased to announce that Sunny Side Cleaning Services is a 2019 award winner! “I would like to thank you for all the help your amazing company has done these last few weeks. We had four months worth of construction clean up, and you got it all done in less than three weeks. You did better then I would have expected any company to do and all are very professional. Thank you so much. I will refer you to everyone.” -Hope M.
That’s just one of the many rave reviews Sunny Side Cleaning Services has received, giving them a 90.96 Rating Score™, a 4.70 average star rating, and a spot among the top five house cleaning companies in North Dakota! Rachel, co-owner and office manager of Sunny Side Cleaning Services, took some time to speak with us about her business’ awesome online reputation. 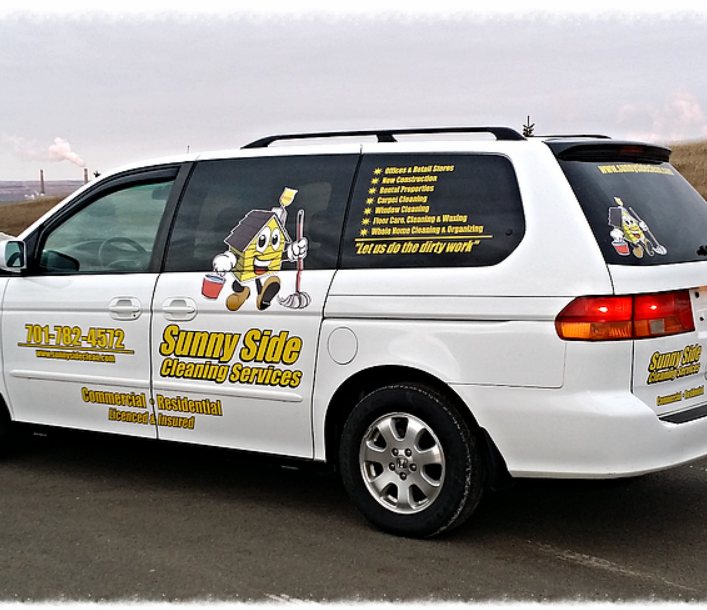 Congratulations to the team at Sunny Side Cleaning Service for being a 2019 Top Rated Local award winner, and thank you so much, Rachel, for taking the time to speak with us!